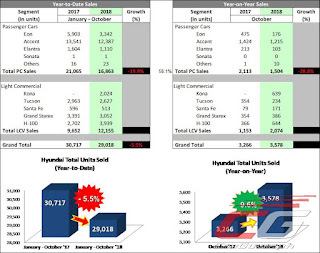 Hyundai Asia Resources, Inc. (HARI), the official distributor of Hyundai vehicles in the country, experienced a new high in 2018 as October sales reached 3,578 units. A strong start to the fourth quarter of the year, October saw the brand grow 9.6 percent compared to October 2017. 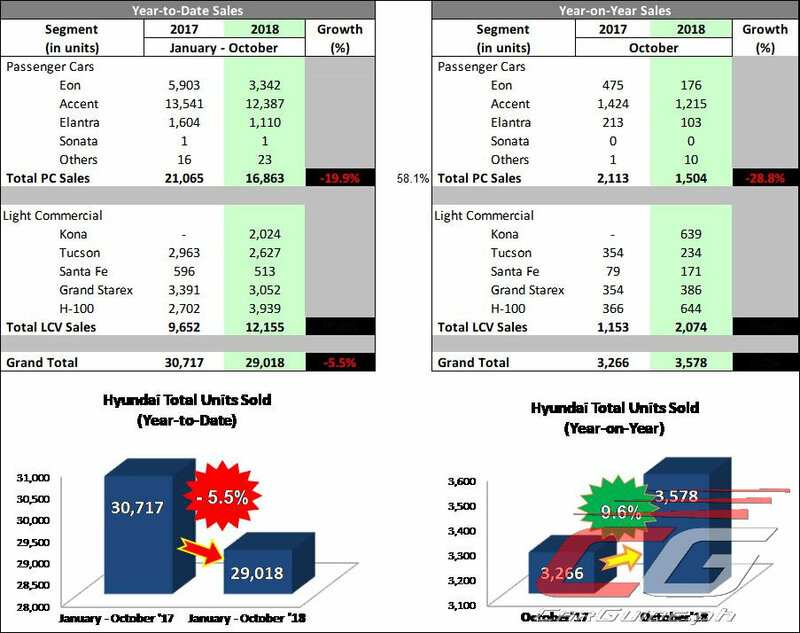 Hyundai’s 10-month sales performance now stands at 29,018 units, closing the gap with a decline of 5.5 percent compared to the 30,717 units sold in the same period last year. The sales performance of the brand remains consistent with the overall demand for automotive vehicles in the country. Accord to HARI, unit sales would eventually pick up in the last two months of the year. Sales of the Passenger Car (PC) Segment remain to be the brand’s volume driver owing more than half of the brand’s total unit sales for the year. For October alone PC sales amounted to 2,113 units or a 28.8 percent decline, totaling to 21,065 units from January to October. The Light Commercial Vehicles (LCV) segment has taken the spotlight as it grew from 1,153 units in October 2017 to 2,074 units this year, recording a 79.9 percent year-on-year growth. This amounts to a total of 12,155 units sold from January to October 2018, growing 25.9 percent compared to the same period of the previous year. The segment contributed to almost half of all the year-to-date Hyundai vehicle sales in 2018 with the successful introduction of the Kona, Hyundai’s entry to the subcompact SUV segment. The increased industrial activity has also given rise to the H100, Hyundai’s light-duty truck which experienced a sudden surge in its 2018 sales growing 45.8 percent. “Last October’s performance only reflects that the performance of the automotive industry is beginning to normalize. Our growth outlook remains to be upbeat for the remainder of the year,” says Ms. Ma. Fe Perez-Agudo, HARI President and CEO. 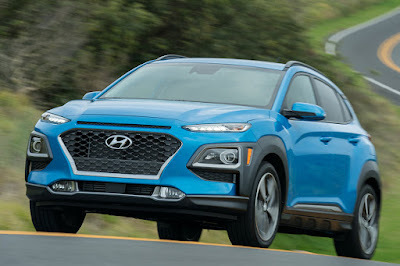 Time to bring in Kona turbo awd?